July 4, 2010 will mark the 100th anniversary of Jack Johnson vs. Jim Jeffries, “Fight of the Century”, for the heavyweight championship of the world. 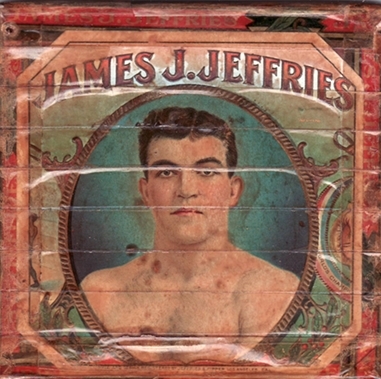 Leading up to this fight, Jeffries won the title in 1899 against Bob Fitzsimmons and after defeating all challengers he retired undefeated in 1905. Johnson won the title in 1908 against Tommy Burns to become the first black fighter to win the coveted crown. The build up to this fight was nothing less than controversial with a white champion coming out of a five-year retirement to try to win the title back from a black champion. Scheduled for 45 rounds, the fight took place in Reno, Nevada on July 4, 1910, with Tex Rickard as the promoter and referee. Prior to the fight, Rickard had invited United States president William Howard Taft to be the referee, but Taft declined. 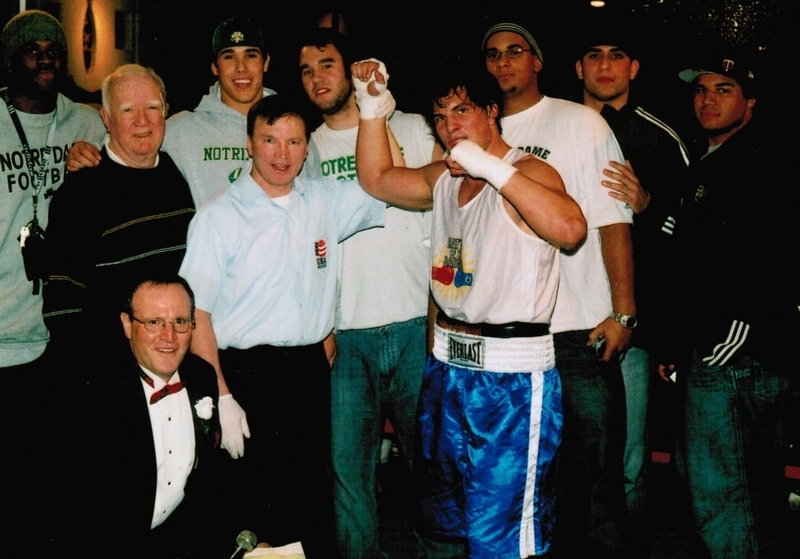 Author Steve Corbo (kneeling) with current NFL player Tommy Zbikowski and members of the University of Notre Dame Football Team, including NFL Quarterback Brady Quinn, after one of Zbikowski’s amateur bouts. 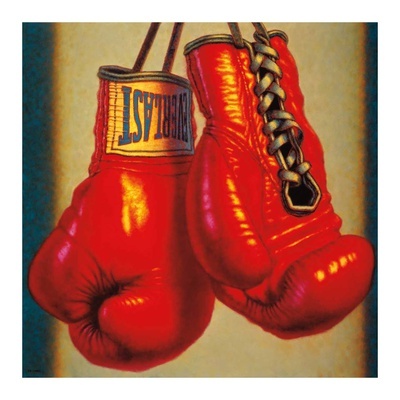 Like most of us I was dismayed by the performance of the Men’s US Olympic Boxing Team in London. Add to our Olympic debacle the AIBA problems with USA Boxing, and it gets downright discouraging. Even those of us who love the game have to admit, boxing in the United States, just isn’t what it used to be. And that is especially true in the heavier weight divisions. To remind myself of what it used to be like I looked at a Ring Magazine from April 1980. “The Ring’s World Ratings” listed the top ten heavyweights in the world, nine (9) of whom were from the United States. No doubt the most well known heavyweight to come out of Canada is George Chuvalo. For a while Lennox Lewis called it his home and Trevor Berbick made his mark but George is still #1 in Canada. Nevertheless there is a very overlooked heavyweight contender from the 1960’s who at one time was closing in on a world title shot. His name was Robert Cleroux. The fact is that “Big Bob” had a trilogy of bouts with Chuvalo for the Canadian heavyweight title. Cleroux won two of those contests. Cleroux was born on February 23,1938. He joined the punch for pay ranks in 1957 after winning the Montreal Golden Gloves title in 1956. At 6’1” and weighing over 200 pounds, he was a fairly big heavyweight in his era. He won twelve of his first thirteen contests. Only a draw with Eddie Vick stained his record. He beat Eddie in a return go. Vick would go on to fight the likes of Tommy “Hurricane” Jackson. Chuck Wepner, Jeff Merritt and Bob Foster twice during his career. Bob invaded New York’s Madison Square Garden in 1959 and suffered his first loss. An eight round decision to veteran Buddy Turman. Cleroux would regroup to win nine in a row including a decision over Willie Besmanoff and a five round kayo against Roy “Cut-N-Shoot” Harris. 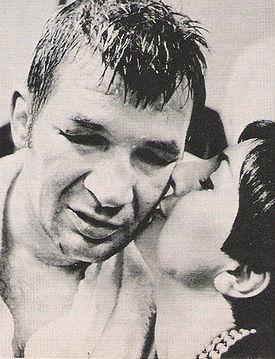 In 1960 he won a close and hard fought split decision over Chuvalo to capture the Canadian crown. Later in the year he would drop a twelve round verdict to George losing the title. In between those two battles, Bob halted Turman in two rounds to gain a measure of revenge. Since this is the holiday season you may have some time off of work to relax and watch a few movies. There are several classic boxing movies that are available at your local video store to fill a void left by a lack of live boxing action. I’m going to list some of my favorites that you may find entertaining. “Gentleman Jim”, the story of James J. Corbett is my personal favorite. Errol Flynn is great as Corbett and Ward Bond is even better as John L. Sullivan. Next up would be Paul Newman as Rocky Graziano in “Somebody Up There Likes Me”. 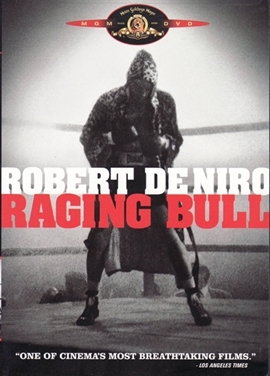 Then Robert DeNiro in the story of Jake LaMotta titled “Raging Bull”. Robert Ryan is a hard luck, aging but proud fighter in “The Set Up”. Charles Bronson plays a bare knuckle battler and James Coburn is his fast talking manager in “Hard Times”. More than a boxing movie, with a great cast like Marlon Brando, Rod Stieger and Lee J. Cobb, is “On The Waterfront”. It gave us Brando’s character, Tommy Malloy’s unforgetable line,”I coulda’ been a contender”. What a way to start out the year 2011. I just finished reading an excellent book by an author I have great respect for. Steve Maguire is a top shelf boxing historian. 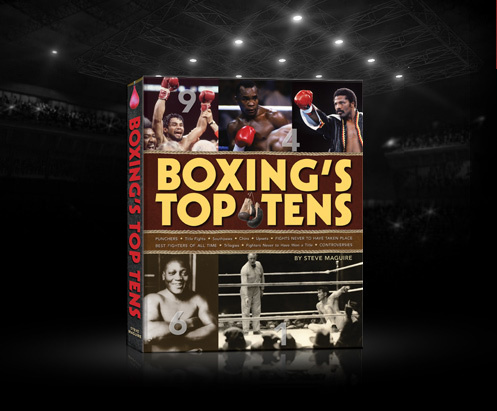 In his recent book “Boxing’s Top Tens”, Steve gives his opinions and insights on some of the greatest boxers and historical boxing events of all time. He does this in a style which really opens up room for agreement or debate by the reader. Agree or disagree, Steve makes a solid case for his choices. This author did his homework! *** FLASHBACK – This article originally appeared on dmboxing.com on October 31, 2010. Soon after that that time John Boitnott became the Web-Master and I have become the producer of dmboxing.com. John has been so instrumental with the success of this website these past ten years and the success that it will continue to be – Thank You! I really like knowing David Martinez. Of course there’s his endless boxing knowledge – his ability to analyze a fight – even as it’s happening. I respect his advice big time. One of the best things he does is something that only happens at Halloween. 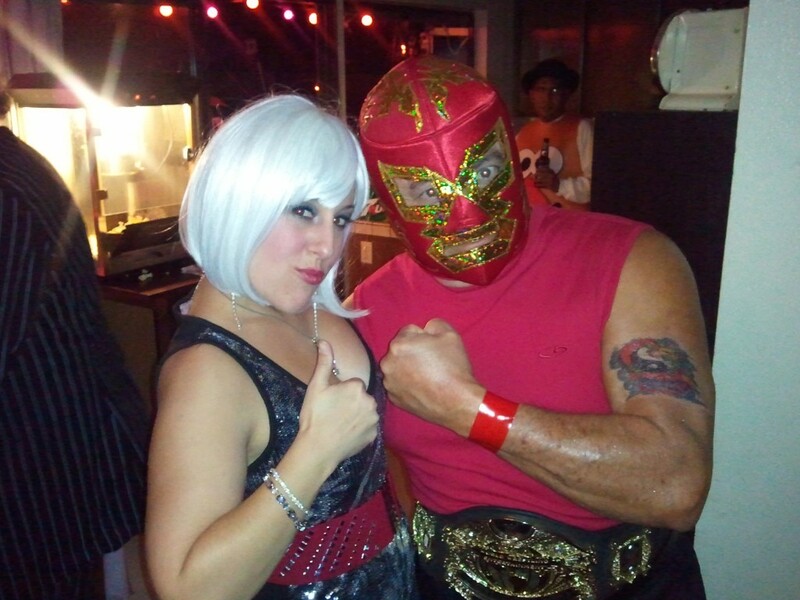 He will dress up like a masked wrestler. So let me share with you now a photo of this years 2010 edition of him at a party posing with young lady – Kim. He will always accommodate others for a picture and let me say that it’s my absolute pleasure to serve as his producer since this website started back in July 2007 – thank you David! It is not fun growing old. I am a product of my past. A victim of my era so to speak. I constantly bump heads with the young fans of today. They glorify Hopkins, Manny, Mayweather and the Klitschko brothers. Even from a decade or so before it’s all about Holyfield, Whitaker and a guy named Mike Tyson. They are all great fighters in their own right. Then you can go back a little farther. Now we’re talking Holmes, Duran, Hagler, Leonard, Hearns, Pryor, Michael Spinks and Benitez. How about Julio Cesar Chavez, Edwin Rosario and the great Salvador Sanchez ? Some great names and outstanding fighters. As expected, in the semifinals, the fix was in once again in Marlen Esparza’s bout with the Chinese boxer. When Marlen was down 3-2 after the first round, a round in which the Chinese boxer did absolutely nothing but wait and step back and occasionally throw a counter that missed, and never came close to landing a punch, I knew then they were going to “do” Marlen. Afterwards, when asked if she should have been more aggressive and tried even harder, Marlen made a poignant, insightful, and accurate comment, whichwas that if she took more risks and threw more punches, they would have had her down by even more. And that is a sad but truthful commentary on amateur boxing, and also explains why these bouts have utterly lost their entertainment value. The more you try to be aggressive against these boxers who look to wait and jump back and only throw quick arm-punch counters, the more the international judges will have you losing. So Marlen tried to play their game as best she could, but nevertheless, she was an American, which meant that if it was close she was going to lose. You damn near have to kill your opponent to win in this tournament. 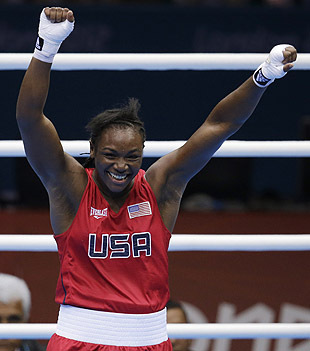 Claressa Shields did what she needed to do to get into the final, which was beat the living hell out of her opponent. She has blazing fast hands, plenty of pop on her punches, and I love the way she puts together her punches in bunches, firing fast and hard combinations. She works the body and head. I also like the way she does not allow her foes to clinch her much, for she really works that inside short right very well and makes them pay for trying to lay in on her. And as soon as she gets some room, she follows up with more blows. NOTE: Jim Amato has contributed to dmboxing.com since 2008. His opinions and input to this website are honest and at the highest quality. His expertise in boxing is respected and appreciated by all. To view all of Jim’s articles – go to Categories section and click onto his name. What happens when the unstoppable force meets the unmovable object? Let me rephrase that. 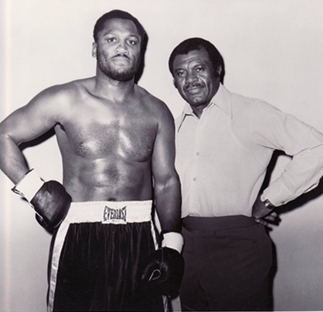 What would have happened if Joe Frazier and Ron Lyle would have hooked up in the mid-1970’s? It is too bad this fight was never made. It was discussed on occasion, but to the best of my knowledge no serious talks ever took place. What a shame. This would have been a thrill-a-minute battle for the fans. Each boxer had the tools and the style to offset the other’s skills. Let’s start with Ron Lyle. 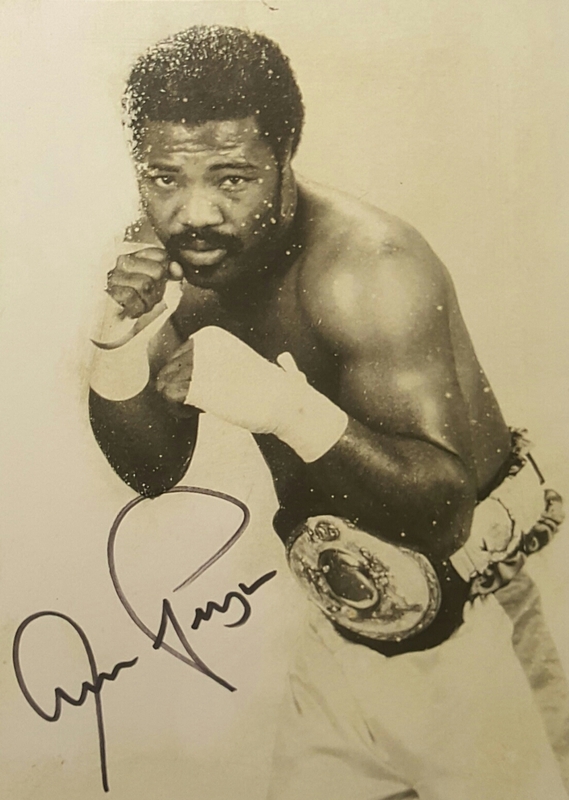 George Foreman showed everyone that a big, strong heavyweight with a decent jab and a solid uppercut could keep Joe from getting inside, while also punishing him at long range. Frazier was game to the core, but Big George showed that Joe could be hurt. Lyle was no Willie Pep on his feet, but he had decent mobility for a man his size. He had a fairly quick jab with some pop to it. He threw a strong right hand but he needed room for it to gather steam. His best weapons on the inside if Frazier did get past his jab were a short left hook and a scorching uppercut. Also Ron was more then willing to stand in the trenches and swap body shots. He would have been quite a handful for Joe. The history of great boxers to come out of the fine state of Ohio is rich and glorious. Many came well before my time. Jimmy Bivins and Johnny Risko. Joey Maxim, Paul Pirrone and the great Ezzard Charles. Need I go on?